In Hinduism, a sampradaya (IAST sampradāya) can be translated as "tradition" or a "religious system," although the word commands much more respect and power in the Indian context than its translations in English does. The concept of sampradaya is closely tied to the guru or parampara, the lineage of spiritual masters who both carry and transmit the tradition. The main sampradaya in current Hinduism include Shaivism, Shaktism, Vaishnavism, and Smartha. Each of those four branches share rituals, beliefs, and traditions, but each school has a different philosophy on how to achieve life's ultimate goal, (moksha, liberation). Sampradaya refers to an established philosophical school within a branch and parampara refers to a traditional lineage of teachers from any sampradaya. The presence of different sampradaya within Hinduism, rather than a schism, points to complimentary views. No animosity exists between the schools. Among Hindu followers as a whole, a strong belief exists that many paths lead to the One God, the Source, or whatever one chooses to call that ultimate Truth. A healthy cross-pollination of ideas and logical debate serves to refine each school's philosophy. An individual often follows one school but takes the point of view of another school for a certain issue. That has lead to a vitality of the Hindu religion. Coupled with a sense that all the sampradaya of Hinduism compliment each other is a three fold strength in Hinduism. First, the combination of many manifestations of God. Second, a belief in a supreme God, Brahmin, that far surpasses Zeus of Greece and resembles YHWH of the Hebrew faith. And third, the profound spiritual practice of Yoga that embraces the four essential dimensions of human spirituality: Devotion (Bhakti), truth or intellect (Jnana), the will (Karma), and physical (Raja). Sampradaya relates to a succession of disciples that establish a tradition which gives the "denomination" stability. In contrast, a particular guru lineage is called parampara and by receiving an initiation (diksha) into a parampara of a living guru, one belongs to its proper sampradaya. Initiation diksa is a means by which one can become a member of a sampradaya. It is a ritual procedure, one of the primary functions of sampradaya. One cannot become a member by birth, as is the case with gotra, a seminal, or hereditary, dynasty. Sampradaya is a body of practice, views and attitudes, transmitted, redefined and reviewed by each successive generation of followers. Participation in sampradaya forces continuity with the past, or tradition, but at the same time provides a platform for change from within the community of practitioners of this particular traditional group. Vaishnavas stands as the largest sampradaya with approximately 580 million followers. Many mix some aspects of the Smarta viewpoint into their Vaishnavas faith. Vaishnavas worship Vishnu, his avataras (especially Krishna and Rama) as the supreme deity svayam bhagavan. The Birla Mandir constitutes one of the most famous Vaishnavite temples in India. Brahma Sampradaya: Principle acharya—Madhvacharya. Gaudiya Vaishnavism, a branch of this sampradaya, begun by Chaitanya Mahaprabhu. Swaminarayan Sampraday: Stems from the Ramanuja sampradaya. Slanted towards Vaishnavism, the founder Swaminarayan believed in a Smarta view. He adopted panchadevata system (five forms of God, as per Smarta theology. Śaivites designate devotees who primarily worship God Śiva as Supreme God, both Immanent and Transcendent. Approximately 220 million people follow Śaivism which embraces, at the same time, Monism (specifically Nondualism) and Dualism. Focusing on the practice of yoga, meditation and love for all beings, the major theological schools of Śaivism include Kashmir Śaivism, Śaiva Siddhanta, and Virasaivism. To Śaivites, God Śiva exists both with and without form, constituting the Supreme Dancer, Nataraja and the linga, without beginning or end. Lingayats in Karnataka adhere to Śaivism. Shaktas worship Shakti, the divine Mother, in her many forms including (Kali, Durga, Laxmi, Saraswati). Shaktas represents one of the oldest forms of Hindu religion (evidences even from Indus Valley Civilization). With the development of civilization, and emergence of a variety of doctrines, variations in Hindu philosophy appeared. The Hindu forms of Shaivism and Shakta intertwine, as does the description of Shiva and Shakti/Sati/Parvati. Vaishanvism also connections with Shakta philosophy in that the Goddess Durga has the name Narayani. Shaktas have practices identical with the Shaivites or fundamentals of philosophy with Vaishanvites. Shaktas usually identify themselves as Hindus rather than as Shaktas. In India, Bengal, Assam, Orissa and Bihar constitute the main regions in which devotees practice Devi Pujan or Shakta rituals. Madhya Pradesh (Chamunda Pujan), Maharashtra and Gujrat (Nav Durga) practice rituals for Devi Pujan in their regions. Immense respect for women as mothers in common household exists in Shaktas as in other Hindu traditions. Young sons and daughters touch the feet of their mother, seeking her blessings on festive and important occasions. Mothers typically pray/worship for the well being of their family and children. Approximately fifty one Shakti Peeth (that is, "temples") exist all over India, typically revered as places of pilgrimage. The mythological background behind those temples trace their origin to the story of Shiva performing "Tandava" (the dance of fury), carrying the dead and burnt body of Sati in immense anger, effectively destroying the entire Universe. Seeing Shiva's rage, Vishnu realized that that Shiva's strength emerged from the dead body of Sati/Shakti and decided to cut her dead body to pieces with his Sudarshan chakra, which led to halting of Shiva's wrath. Fifty one pieces of her dead body fell on earth at fifty one places, the spots becoming Shakti Peeth. The Kalighat Mandir at Kolkata, the Kamakhya Mandir at Assam, and the Vaishnav Devi Mandir at Jammu stand out among them. Typically, in the regions Shakta philosophy has a majority of adherents, the Hindu sects live together harmoniously. The Shaktas believe that everyone has the same Divine Mother and that the Divine Mother desires harmonious existence among all her children. Shaktas celebrate the festivals Dussera/Durga Puja, Diwali/Kali Puja/Lakshmi Puja, Satya Narayan Puja, Ganesha Puja, Saraswati Puja, Kartik Puja, Janmashtami, Shivaratri, and Sankranti. They also have diverse philosophy and rituals including Mantra and Tantra. Several Hindu rituals, like putting sindoor and bindi on the bride, as well as the attire of Hindu bride, originated from the concept of Goddess Durga and Lakshmi. Shakta, being the oldest form, has its origin in Vedas, and Puranas. Durga Puran, Kalika Puran and Skanda Puran serve as some of the basic sources. Ramayan, Mahabharat and Shrimad Bhagvat Gita also form the basic texts, read and revered by every Shakta. Commonly, Krishna Pujan, and Shiva Pujan appear in Shakta families. Legends of the demons, Madhu and Kaitabh, exist. Devotees remember the spell cast by Goddess Kali on the demons, which made it easy for Narayan to kill them and save humankind. Smarthas have free rein to choose whichever deity they wish to worship. They usually worship five deities (pancopasana) or panchadevata as personal manifestations of the impersonal Absolute, Brahman. Smartas accept and worship the six manifestations of God, (Ganesha, Shiva, Shakti, Vishnu, Surya, and Skanda). The individual worshiper chooses the nature of God they wish to worship, since they all constitute manifestations of God. The Smarta belief includes Advaita, and Swami Vivekananda, an adherent of Advaita represents the first Hindu saint to bring Hinduism to the West. Gurus, including A.C. Bhaktivedanta Swami Prabhupada, came after bringing a Vaishnavite perspective to the West. By contrast with Smarta/Advaita belief, Vaishnavism and Shaivism follows a singular concept of God, or panentheistic monotheism or panentheistic monism. The Bhakti literature created by those Alvars has contributed to the establishment and sustenance of a culture that broke away from the ritual-oriented Vedic religion and rooted itself in devotion as the only path for salvation. In addition they helped to make the Tamil religious life independent of a knowledge of Sanskrit. As part of the legacy of the Alvars, five Vaishnava philosophical traditions (sampradayas) has developed at the later stages. A sect of Balinese Hindus flourished on the island of Java until the late sixteenth century, when a vast majority of its adherents converted to Islam. Theologically the sect stands closer to Śaivism than to other major sects of Hinduism. The term "Agama Hindu Dharma" also refers to the traditional practices in Kalimantan, Sumatra, Sulawesi, and other places in Indonesia, where people have started to identify and accept their agamas as Hinduism. Hinduism, politicized in the context of the Indian independence movement, resulted in the rise of Hindu nationalism into a significant political force in the Republic of India. ↑ 1.0 1.1 1.2 1.3 Ravi M. Gupta (Radhika Ramana Dasa), Walking a Theological Tightrope:Controversies of Sampradaya in Eighteenth Century Caitanya Vaisnavism (ICJ, 2002). ↑ V.S. Apte, The Practical Sanskrit-English Dictionary: Containing Appendices on Sanskrit Prosody and Important Literary and Geographical Names of Ancient India (Motilal Banarsidass Publ). ↑ Adherents Branches, 580 million statistic. Retrieved August 14, 2008. ↑ Adherents, Branches. Retrieved July 27, 2008. 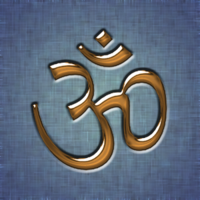 ↑ What is Hinduism? Modern Adventures into a Profound Global Faith (Kapaa, Hawaii: Himalayan Academy, 2007), 40. ↑ Jeffery D Long, A Vision for Hinduism: Beyond Hindu Nationalism (London: I.B. Tauris, 2004), 17. ↑ S.G.R. Thursby Mittal, Religions of South Asia: An Introduction (Routledge, 2006). ↑ Christopher H. Partridge, Introduction to World Religions (Minneapolis, MN: Fortress Press, 2005), 161. Gold, Daniel. Hindu Fundamentalisms: From Vedic Truth to Hindu Nation. 1989. OCLC 63900459. Knott, Kim. Hinduism in Leeds: A Study of Religious Practice in the Indian Hindu Community and in Hindu-Related Groups. Leeds: University of Leeds, Dept. of Theology and Religious Studies, 1986. OCLC 15211926. Long, Jeffery D. 2007. A Vision for Hinduism: Beyond Hindu Nationalism. London: I.B. Tauris. ISBN 9781845112738. Mittal, Sushil, and Gene R. Thursby. 2006. Religions of South Asia: An Introduction. London: Routledge. ISBN 9780415223904. Partridge, Christopher H. 2005. Introduction to World Religions. Minneapolis, MN: Fortress Press. ISBN 9780800637149. Puniyani, Ram. Hindu Extreme Right-Wing Groups: Ideology and Consequences. Delhi: Media House, 2004. ISBN 8174951733. What is Hinduism? Modern Adventures into a Profound Global Faith. 2007. Kapaa, Hawaii: Himalayan Academy. ISBN 9781934145012. Brahma Madhva Gaudiya Vaisnava Sampradaya. This page was last modified on 13 August 2015, at 16:33.